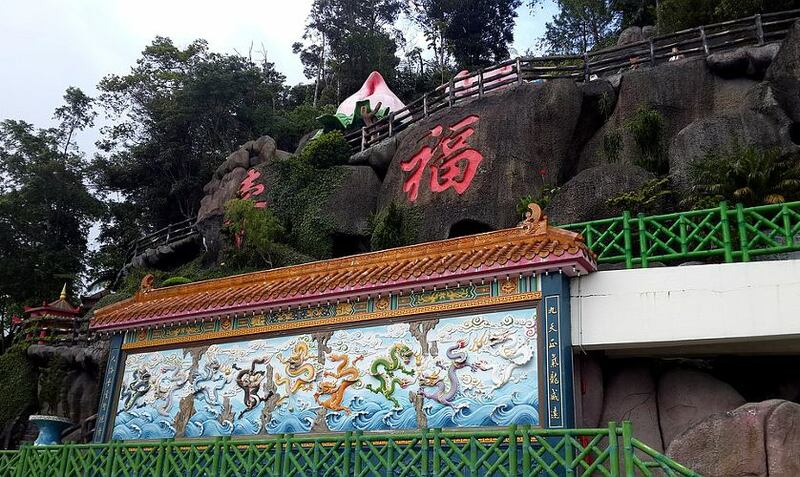 The Chin Swee Caves Temple is a Taoist temple situated in the most scenic site of Genting Highlands. The Temple attracts many local and foreign devotees from nearby countries like Singapore, Taiwan, Indonesia, Thailand and China. 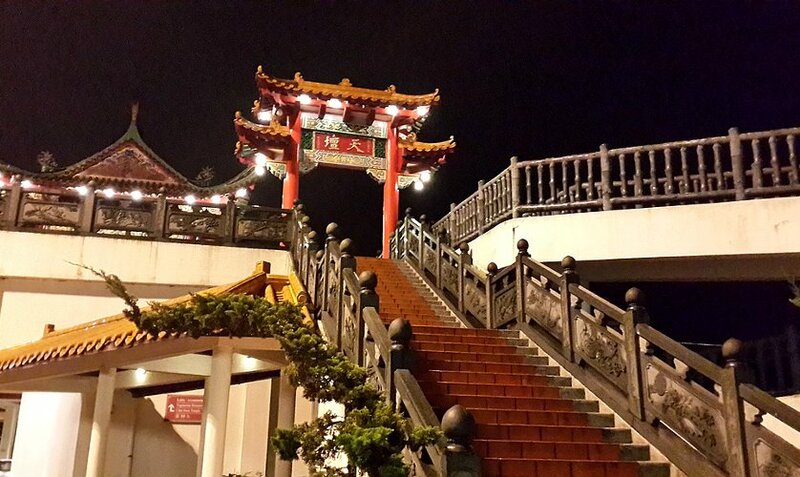 Just after the main entrance is the nine-storey pagoda, decorated with figurines of Buddha. Inside are 10,000 “blessing lamps”, installed for devotees to dedicate to those whom they would like to be blessed. Free shuttle is provided by some hotels, one of them and the most common is from First World Hotel. 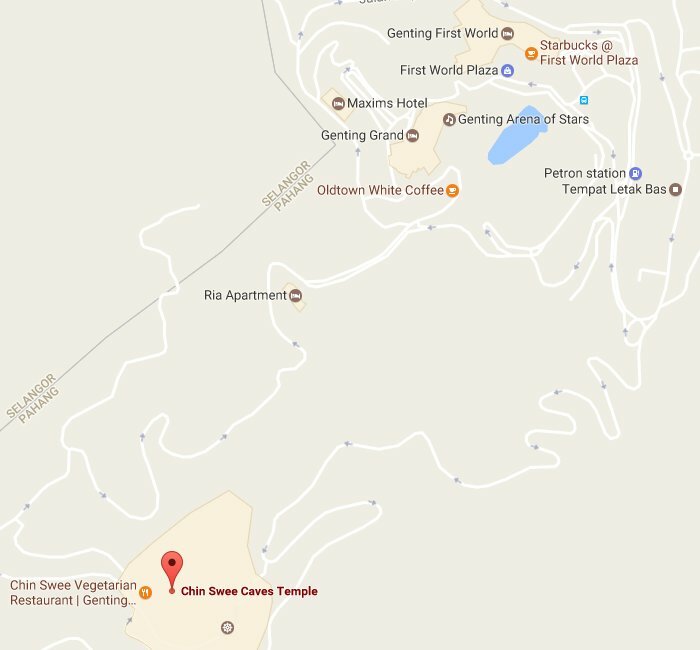 The shuttle from the hotel to Temple departs on hourly basis. 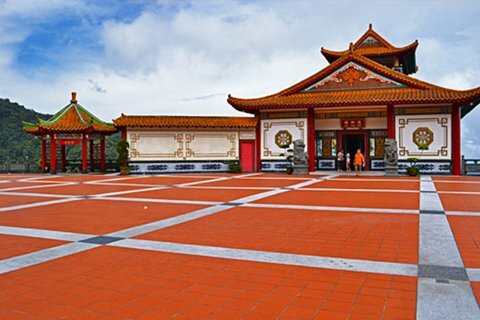 Within the Temple is seated a statue of QingShui, a Buddhist monk who has long been referred to as a deity in Fujian province, China for his supernatural abilities to summon rain and drive away evil spirits. The statue of the Reverend QingShui placed in accordance with feng-shui principles is seated at the northern part of the main hall with his face looking south. 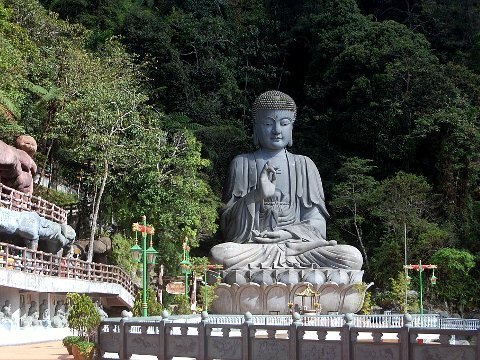 Below the statue is a natural rock in a man-made flowing stream. The rock gives the necessary support to the statue while the stream provides clear cool mineral water throughout the year. 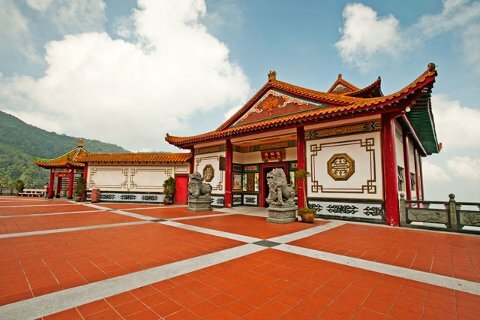 The Chin Swee Caves Temple is situated on a 28-acre plot of rocky forested land. 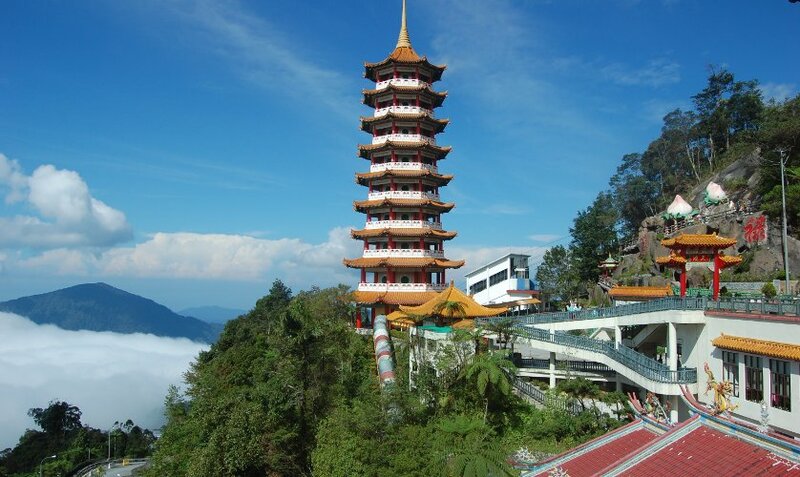 Located 4,600 feet above sea level, the Temple is about 5 to 10 minutes’ drive down from the peak of the mountain. 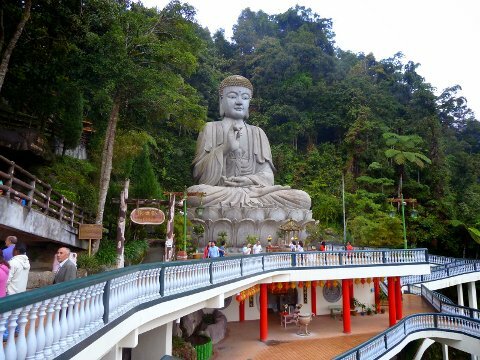 Explore this grand religious site located on a sharp, rocky slope near the peak of Genting Highlands. 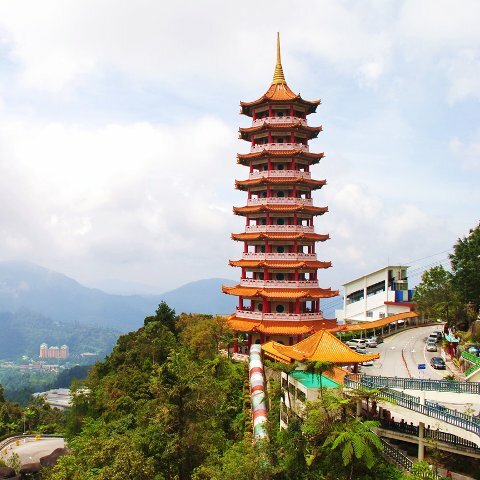 Remember to visit the iconic nine-storey pagoda lit by lamps, the Sky Terrace, and the 15-metre high statue of Buddha. 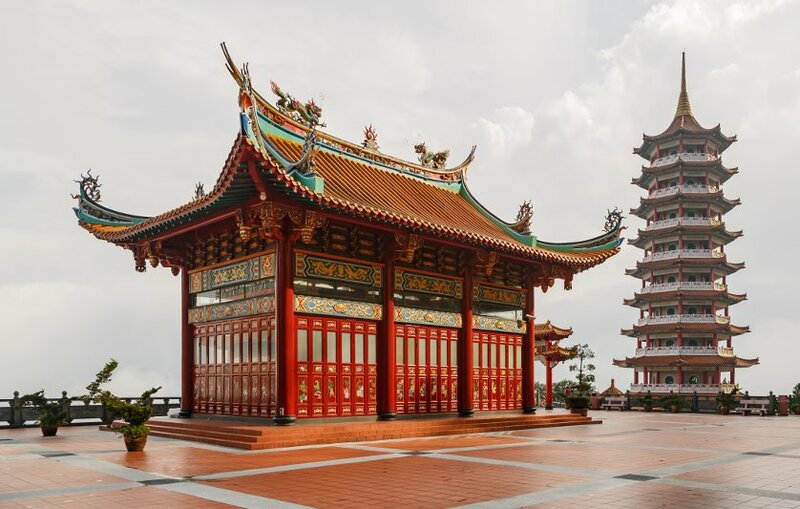 The Temple’s first stage of development was started in 1975, costing an estimated RM12 million, is made up of an imposing traditional structure. It has tall red columns supporting an ornamental roof. The exterior wall carries many inscriptions that depict the life of the Reverend QingShui and his major charitable and supernatural works. Despite adopting manual approach in extremely difficult situations and risky environment, there were neither casualties nor work- related accidents reported during the whole period of construction. 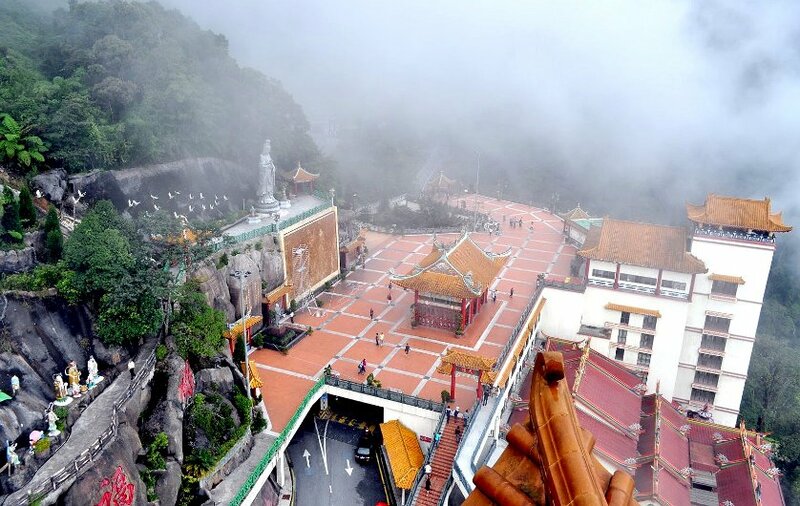 Besides worshiping the Reverend QingShui, devotees can also pray to Buddha and Kwan-yin, whose statues stand behind the five-storey temple. 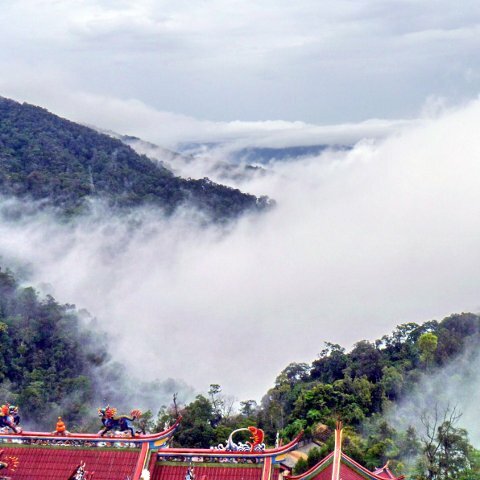 Visitors can also embark on a journey of cultural exploration, travelling from hell to heaven in the afterlife in accordance with ancient Chinese traditions and beliefs. Genting Strawberry Leisure Farm, come enjoy fresh strawberries!